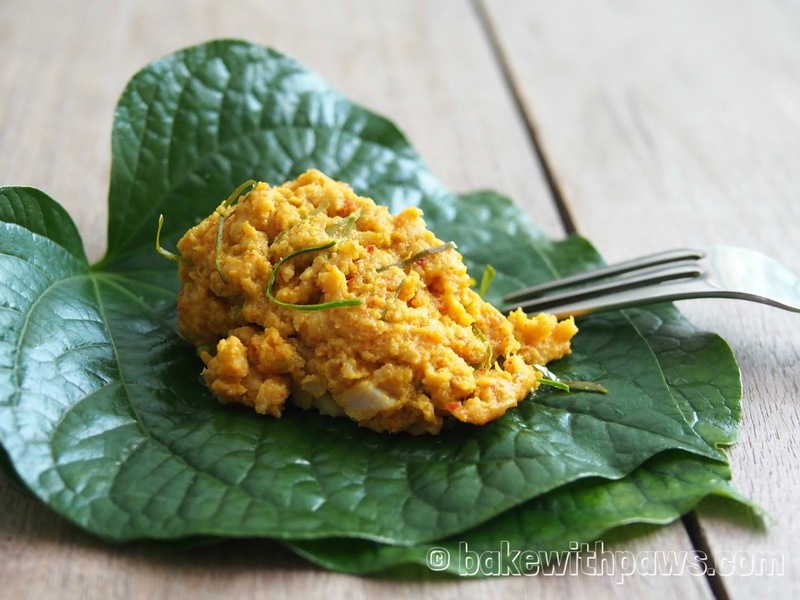 Penang Nyonya Otak Otak is a stemead fish custard wrapped with banana leave. 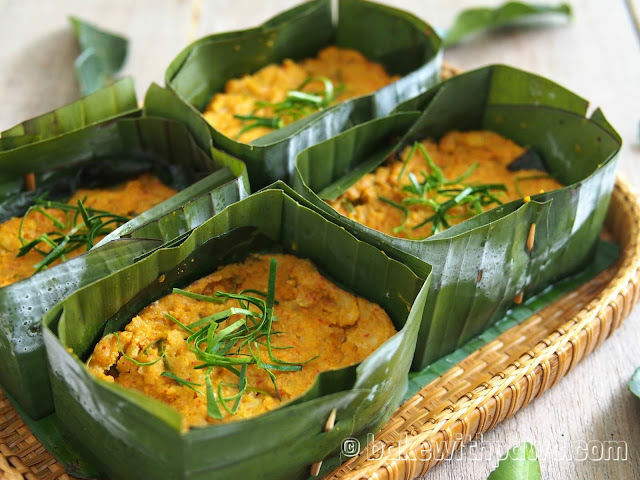 I love to cook Penang Nyonya food and I was recently inspired by an otak-otak dish served at a Thai Restaurant. Everyone in the family loved it and I decided to attempt the dish. 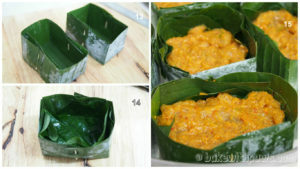 My first attempt was wrapped in the shape like Penang Nyonya style. It turned out to be a very tasty otak-otak and my Mother-in-Law was so impressed she immediately got me another batch of Mackerel fish for another round of Otak-Otak. This time, I folded the banana leaf into a box as a mould for the Otak-Otak. 1. Blend all the spices in a food processor. You may add in coconut milk for easy blending. 2. Place all the custard fillings ingredients and spices paste into a mixing bowl and mix well. 3. Cover the bowl with clingfilm and marinate in the refrigerator for at least one hour. 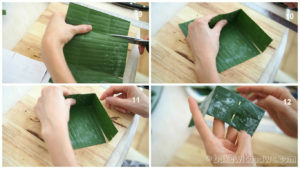 (a) Cut banana leaf into 18cm X 15 cm rectangles and clean. Make a couple extra just incase. (b) Scald banana leaf with boiling water to soften the leaf. 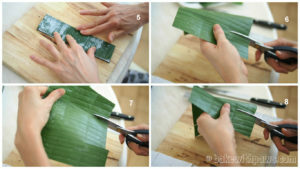 (c) Cut and fold the leaf into a box as per the pictures shown above. 5. 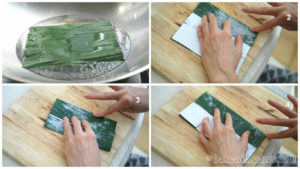 Place 2 or 3 pieces of daun kaduk into the prepared box and top with 4 to 5 tablespoons of otak otak filling. 7. Steam otak otak over high heat for 10 to 15 minutes. 8. Serve warm with steamed rice.